You guys, WE’RE DOING IT. 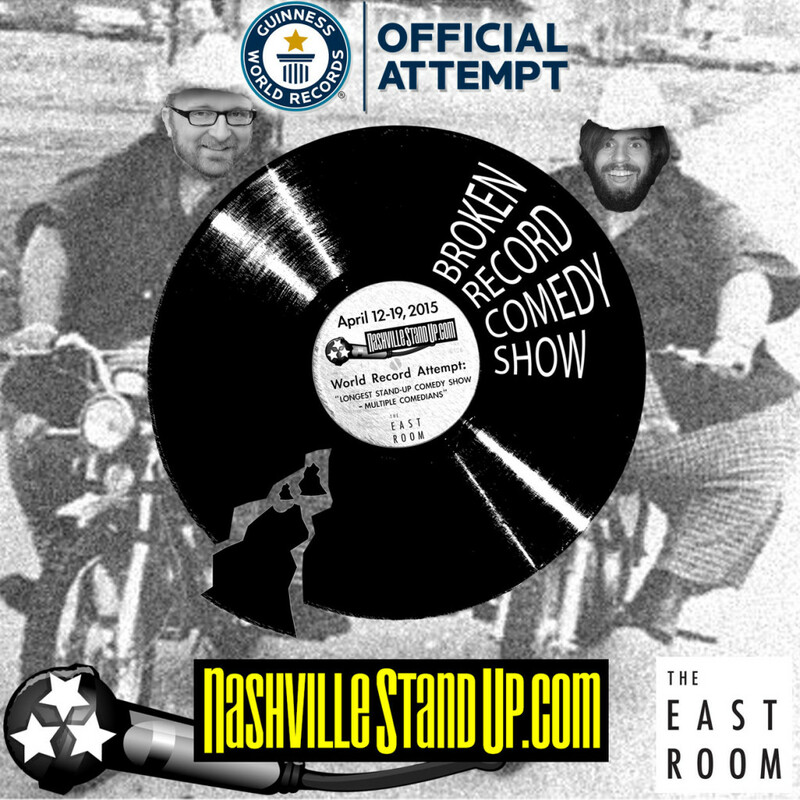 Beginning noon April 12th, Nashville StandUp began our attempt to take the GUINNESS WORLD RECORDS™ title for “LONGEST STAND-UP COMEDY SHOW – MULTIPLE COMEDIANS” at The East Room in Nashville, TN. As I type this it’s early afternoon Tuesday April 14th. That means the BROKEN RECORD COMEDY SHOW has been going for over 48 hours so far. Unbelievable. We’re having such a great time. 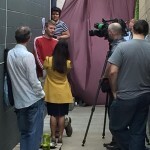 NewsChannel 5 did interviews and shot show footage around noon and a live shot during their 5pm show, helping spread the word. Louis J Gomez was absolutely hilarious and delightful as he explained how his baby is fifteen times cuter than yours. 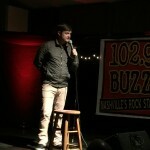 The house was PACKED for home town boy who done good, Nate Bargatze. A lot of Wild West Comedy Festival people and Zanies staffers supplemented the huge, huge crowd who squeezed in to see Nate. It was pretty awesome. 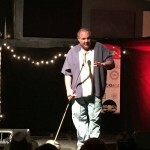 Our good friend KILLER BEAZ dropped in and did a 30-minute surprise set, followed by Nashville favorite Mike James. 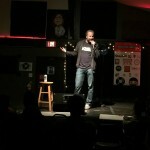 Ahmed Ahmed (TBS’ Sullivan & Son, The Axis of Evil Comedy Tour) dropped in to do a fun set where he hilariously woke up a sleepy audience member in the front row. Ahmed is an absolute beast on stage and any comic would hate to have to follow him, but that didn’t stop Zanies co-owner Andrew Dorfman who jumped up to do a very funny set. This show is the greatest, dumbest thing we’ve ever done, but it’s also been a lot of fun and cathartic. 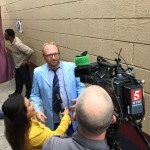 Nashville comedy has really pulled together to make this a reality. 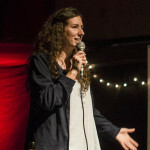 The comics deemed as being ‘professional’ according to GUINNESS WORLD RECORDS™’ guidelines (20 paid credits in a comedy club, theatre or bar and at least one year’s experience since their first paid gig), have done shows at all hours of the day and night. DJ Buckley has not left the building since Sunday morning at 8:30 am. Chad Riden has only left for 2-3 hours each day to sleep and shower at home and run his daughter to and from school. Several comics have slept in The East Room’s fancy new comics’ lounge in the balcony. Many have been here all night. Several Zanies servers spent the entire night helping us make sure we had over 10 people in the audience at all times, saying, “we’re all in this together.” We truly are. The East Room staff, the fans, the volunteers, the comics. It’s really been touching watching everybody work to make this stupid thing happen. THANK YOU. If you’re in town, STOP IN! ANY TIME. We’re here. If you can’t come by, photographer Jamie Hernendez is documenting the show on her Instagram account. 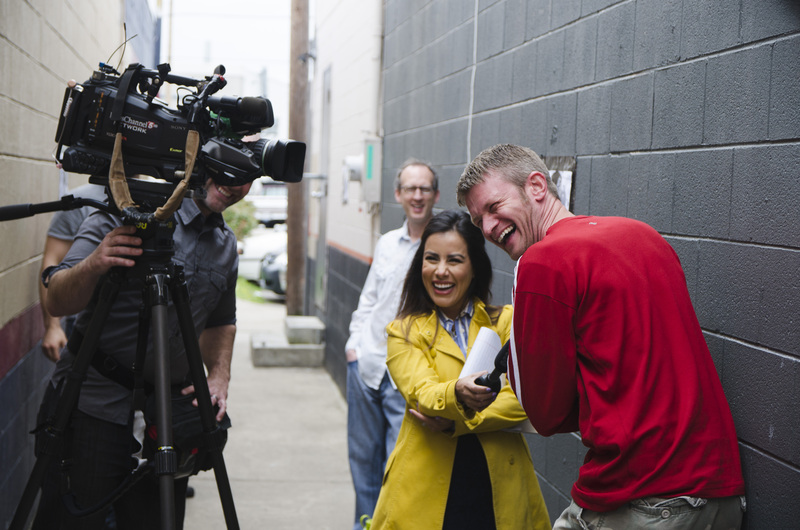 She does incredible work and is here at all hours doing a fantastic job taking photos and posting updates on twitter. We’re also streaming video of the event on YouTube and on our special #BrokenRecordShow site. Go now to see the lineup for the rest of our schedule this week. ALSO: the BROKEN RECORD Comedy Show is honoring ANY Wild West Comedy Festival tickets as valid tickets for our world record breaking show at The East Room. Any and all WWCF ticket holders need only flash their WWCF2015 ticket stub or laminate to be granted free admission to The East Room with no additional purchase necessary. Hope to see you at the show!